Latex pillows have recently become quite popular as an alternative to traditional pillow types. I decided it was time to try out one of these supposedly fantastic pillows to see what all the hype was about. A few weeks ago, I perused the latex pillow reviews at Amazon and made a choice. I paid $45 for it, which seems completely reasonable for something that you spend a third of your life on. What’s a latex pillow anyway? 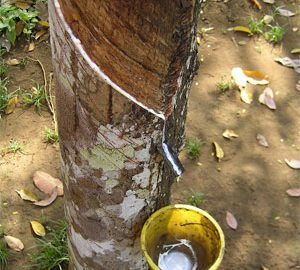 Latex is extracted from a rubber tree. 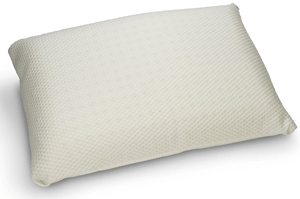 Latex is a popular material for use in a pillow because it’s durable and supportive. It will not collapse under the weight of your head like softer pillow filling like down or memory foam. Latex is extracted from a Hevea-Brasilienis tree, also known as a rubber tree. Being that it isn’t made from a cocktail of strange chemicals, latex pillows are often marketed as being a natural and safe alternative to other pillow types like memory foam. 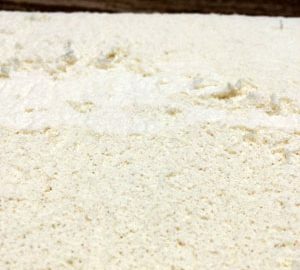 Most latex pillows fit the ill-defined term, “natural,” but many of these actually consist of a blend of latex and other materials like polyurethane foam to cut down on cost. Unfortunately blending polyurethane foam with latex will reduce durability. In addition, there is evidence that polyurethane releases volatile organic compounds that can cause allergic reactions such as skin irritation and breathing issues. Some of latex pillows’ benefits are exaggerated. Marketers can use the term “hypoallergenic” with impunity due to a lack of government oversight. 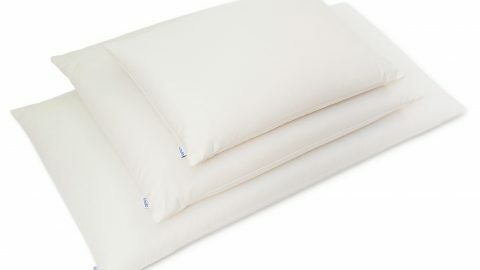 Pillows labeled “hypoallergenic” are generally is no better at preventing allergic reactions than any other pillow type. No cohesive evidence exists to suggest that latex pillows are better at preventing allergic reactions. Less than 1% of us are actually allergic to latex itself. That said, latex allergies are often quite serious (they can cause anaphylactic shock), according to the American Latex Allergy Association. Are Latex Pillows Dust Mite Resistant? Some claim that latex pillows are “dust mite resistant.” This is false. It is true that a pack of hungry dust mites will not feast on a brand-new latex pillow. 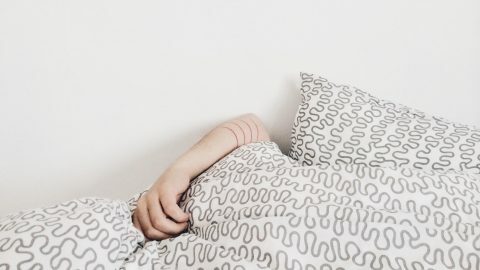 But, just like other pillows, a latex pillow will inevitably get covered with bits of human skin, hair and other organic materials that dust mites love to eat. When my new latex pillow arrived, it wasn’t quite what I expected. Molded into a shape mimicking a traditional rectangular pillow’s, it fits nicely inside a standard size pillow case. It wasn’t quite as spongey or soft as I expected it to be. The latex was a solid loaf of a dense, rubbery material that isn’t moldable or adjustable in any way. Latex pillows are pretty hefty, relative to traditional pillow types. I’m accustomed to sleeping on a buckwheat pillow, which weigh as much as 9 pounds so it didn’t feel overly heavy to me, but some might find a latex pillow a bit unwieldy. Pieces of latex were flaking off my pillow. 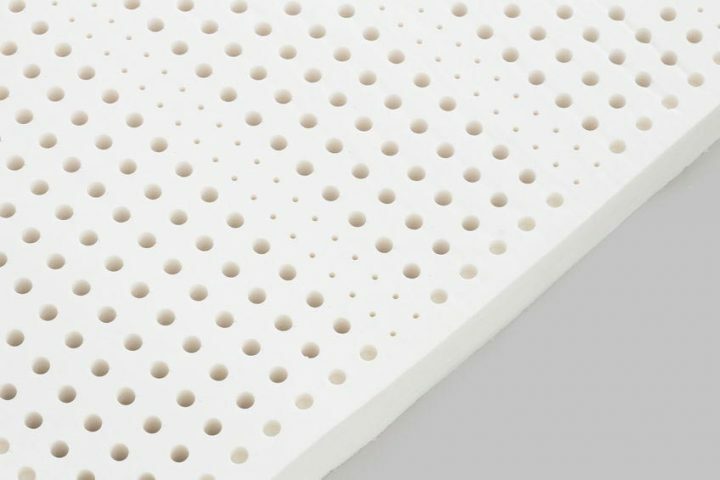 The manufacturer claimed that the pillow “is made with a unique pinhole design, which provides an unprecedented level of breathability, allowing sleepers warmth in the cool seasons, and coolness in the hot summer months.” Despite this claim of it having small holes in it, when I removed the cover I found just a solid piece of latex with no perforations. This pillow was supposedly 100% natural latex pillow and not a blend of less durable poly foams, but it appeared to be falling apart. Its surface was irregular and small pieces of the latex were flaking off. I doubt that the unattractive surface had anything to do with the comfort levels, but it was disconcerting – would the pillow fall apart over time? Unfortunately latex has a very distinct rubber-like odor. They smell like… well, latex gloves. I didn’t find it particularly disruptive to my sleep, but my wife found it annoying. Some users report that the smell goes away after a few days, but I’ve had mine for several weeks now and it still has a powerful odor. *Edit 12/30/15 7 months later, the rubber odor is as strong as ever. I am a side sleeper and I generally need a thicker pillow to fill the space between my head and neck. I immediately discovered that my latex pillow was too thin. My head and neck bent slightly downward at an uncomfortable angle. I found that I was unable to squish it into the shape I desired; it would immediately pop back to its original shape. I woke up with a slight neck pain. I needed just a bit more loft to achieve a neutral sleeping position in which my spine was aligned in a straight line with no upward or downward bends. Before my second night on the pillows, I placed a folded blanket under it. This helped a bit, but keeping a blanket folded under my pillow is definitely not a good long-term solution. Were I convinced that latex pillows were for me, I’d need to find a thicker one. The manufacturer claimed that “the item will flatten after use” so it might be best to find one that is initially a bit too thick. Does a latex pillow stay cool? Despite that manufacturer’s claim that the latex pillow was breathable, I found that it trapped and retained my body heat. I suspect that a latex pillow with holes in it to allow air to pass through it might help, but mine was a solid impermeable piece of latex. It needed to be repeatedly flipped to the cool side. Verdict: I wasn’t very impressed with the latex pillow I tried. It can take awhile to get used to a new pillow, particularly when it’s as unique as latex. I gave it an honest try, but after a couple weeks, I had to give up on it. It was too thin to provide adequate support. Some brands are certainly thicker than others, so if you find one with the appropriate loft, this likely would not be an issue for you. It wasn’t as breathable/cool as some other pillow types. It wasn’t moldable or adjustable. Not being able to change the shape to fit my head and neck was frustrating and in the end, it was a deal breaker. No matter how I pushed, smoothed and squeezed, it’d bounce back into it’s original rectangular shape. I just couldn’t make it comfortable. 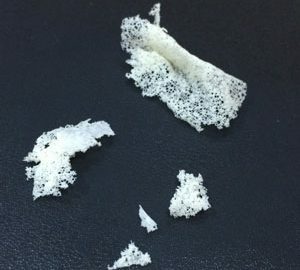 Some latex pillow types are actually filled with small shredded pieces of latex. 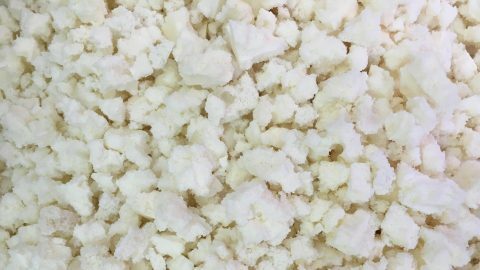 As the name suggests, the latex fill is torn into tiny pieces, which would allow the pillow to be moldable. Shredded latex can be added or removed to change the loft provided the case has a zipper. I suspect that a shredded latex pillow would offer a much better experience. I’ll reserve judgement until I get around to testing one. Perhaps I should just tear up the latex pillow I already own! 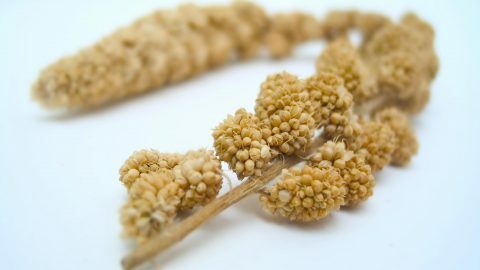 For most people, I think that there are better options, like our own Hullo™ buckwheat pillow! Give them a try and I think you’ll agree that they’re superior to other pillow types. Don’t take my word for it — check out these customer reviews. *Edit 8/9/16* I bought a shredded latex pillow! Read my review here.